“Moorehaven is swarming with guests during summer’s last hurrah, and Pippa has her hands full at the mystery-author B&B. When her gossip-group connections inform her that a local construction project has unearthed a skeleton with a pocketful of Spanish gold, the news spreads, and treasure hunters flood the beaches. But the skeleton has a more recent connection to the area than anyone suspected, unearthing a shameful secret that hits far too close to home. This is the second cozy mystery in this series and for cozy mystery fans makes for a good read. The setting, a bed and breakfast that limits its guests to mystery writers. This means there is never a shortage of amateur sleuths hanging around to throw their two cents in about the murders that apparently happen frequently in the fictional Seacrest, a small town on the beautiful and rugged Oregon Coast where it is located. As with every small town, there are plenty of rumors, everyone knows (or thinks they know) everyone else’s business. All of this combines to give our protagonist, Pippa Winterbourne, plenty of things to check out and ponder, as she tries to find the guilty parties. 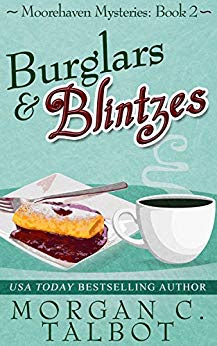 Burglars and Blintzes is an entertaining read that kept me guessing to the end. 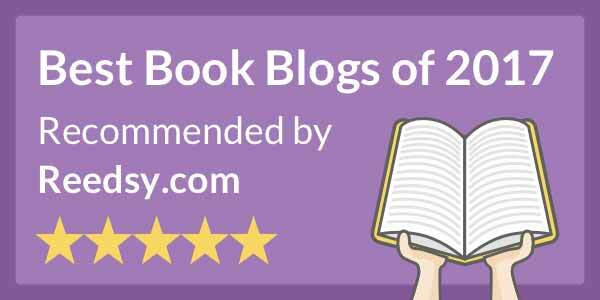 Thanks so much for taking the time to review my mystery! You're welcome at Moorehaven anytime.